This level has easy difficulty and you need to use good technique to complete this level. This level have new blockers that will need multiple time to break them. 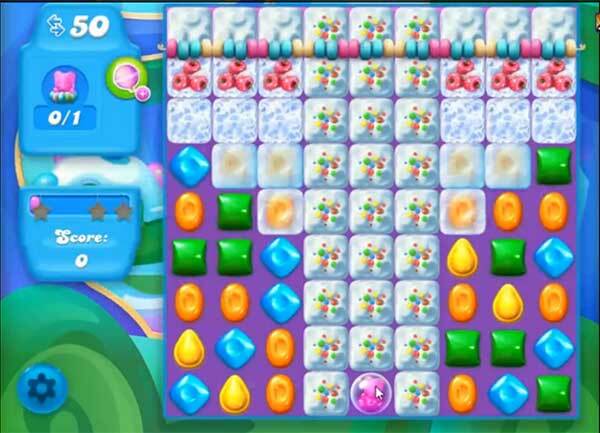 Try to play near to it or use special candies like make colorbomb and combine with wrapped candy to break more blockers. After play above the bear to take it to the rope.